Calling all space cadets. Our infamous rocket competition is back for 2018. To design and build a rocket that will go to the moon! * Or as far as possible *. VIP RYZE passes will be awarded for the furthest distance travelled and also for the best, most creative designs too. Below lists the dates of all of our organised build dates. Only plastic FIZZY drinks bottles may be used as these are designed to withstand pressure. Glass bottles or those from still drinks etc are NOT safe to launch. Please use a bottle that is less than 6 months old and free from damage. Do NOT attach anything to neck (screw top end) of the bottle. Do not puncture, damage or weaken the plastic bottle while decorating. Packing tape and PVA (white) glue is highly recommend. Hot Glue guns are NOT suitable, and please be careful with other glues, solvents or paints that may damage the plastic. All rockets will be safety checked before launch. Organisers may refuse to launch a rocket if they consider it unsafe. The organiser’s decision is final. All rocket launches are subject to weather conditions. Launching rockets in WIND and FOG can be dangerous. 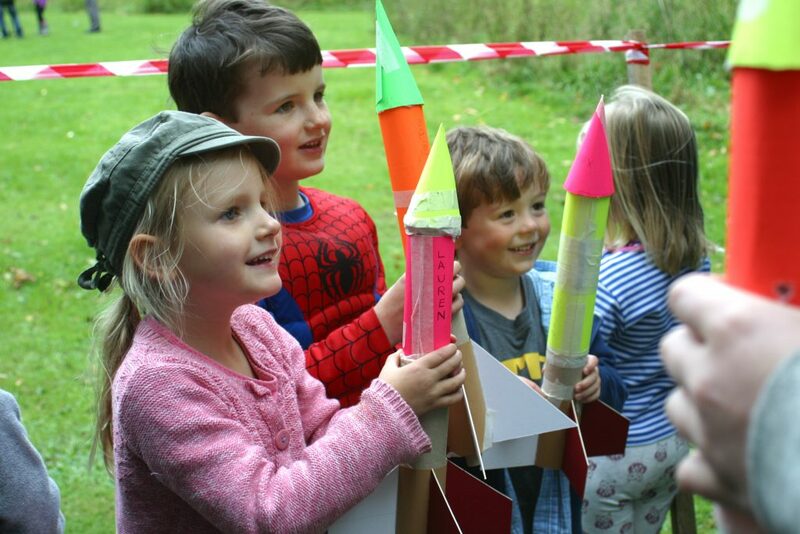 Rocket launches may be cancelled at the last minute due to adverse weather conditions. If in doubt, please contact the launch venue directly. Participants take part in the event at their own risk.